The one and only Neal McCoy, who is well-known for his high energy performaces and who was voted the TNN/Music City Awards Entertainer of the Year in 1998 and 1999, will release his first studio album in 7 years in March. The album titled XII will be produced by Blake Shelton and Miranda Lambert. The kick off single is called "It's A-OK". 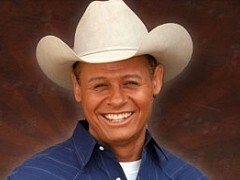 Neal McCoy scored numerous hits records during the 90's including "No Doubt About It", "Wink" and "The Shake". His concerts are widely popular among the fans and so it is no wonder it was Neal, who was booked to play at the country music first couple's, Blake Shelton and Miranda, wedding last year. Neal McCoy - "It's A-OK"